Associated Anesthesiologists, P.C. » Oldenburg, Monica J., M.D. Home / Oldenburg, Monica J., M.D. / Employees / Anesthesiologists / Oldenburg, Monica J., M.D. 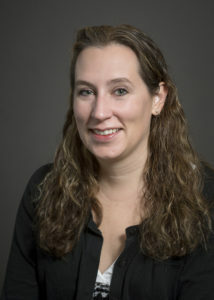 Monica J. Oldenburg, M.D. is a native of Plano Texas. Dr. Oldenburg completed a Bachelor of Science degree in Biochemistry and a Bachelor of Arts degree in Chemistry from the University of Dallas in 1999. Dr. Oldenburg completed medical school at the Creighton University of School of Medicine in 2003. She then completed her anesthesia residency at the University of Texas Medical Branch in 2007. Dr. Oldenburg is Board Certified by the American Board of Anesthesiologists. Dr. Oldenburg has been with Associated Anesthesiologists, P.C. since January 2017.